You there’s just not enough civility in our political discourse these days, eh? How can anyone tell when republican office holders can’t be bothered to publicly engage with any of their constituents who are interested in doing so? Thank you @CoMoProgress for meeting w/ me today. Was productive time hearing your concerns & discussing solutions. I appreciate your ideas. On reading this we thought, my goodness, did we miss the announcement of an open public town hall in the district? 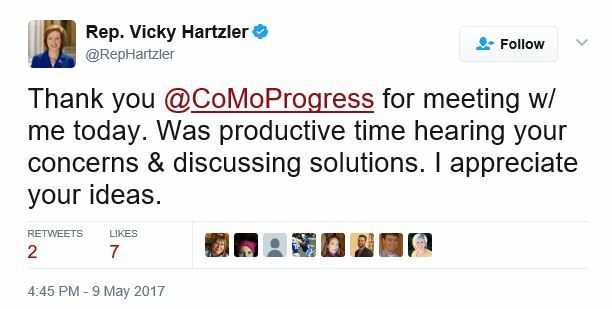 Have we all been too harsh on Representative Hartzler (r) for not scheduling any open public meetings or town halls during all those congressional breaks? Nah. Yesterday we heard a little more of the story. We were told that the meeting was held with six individuals, not the entire group. Representative Hartzler (r) and/or her staff also dictated no pictures and no audio of the meeting. The small group agreed – they did attend the meeting, right? Representative Hartzler and two members of her staff attended the meeting. Think about that for a minute. The whole point of being a representative is to engage with any of your constituents who wish to do so, not filter who can or cannot participate. More so, groups which are ostensibly promoting transparency and access for all individuals who care to participate apparently acquiescing to such restrictive ground rules for a meeting are not serving their purpose. They got rolled. There’s no record (yet) of what transpired. 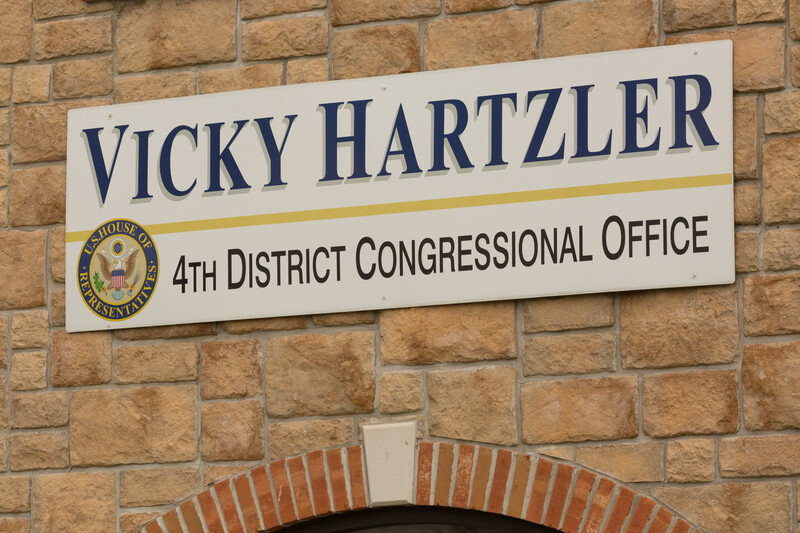 Vicky Hartzler got a reelection advertisement moment. For nothing. Leave it to newbie activist progressives to bring a toy [brand name avoided] foam bat to a gang fight. Until they realize the latter is the reality of our current political environment they’ll continue to get used. Beating up allies with verbal nun chucks is so last century. Tell that to the berniebots. A lot of people are going to die because of Vicky Hartzler’s actions in Congress. You must be new to this politics thing, eh? You get nothing if your opposition doesn’t fear you. Vicky Hartzler again avoided public accountability and she can (and did) use her meeting with a “group” opposed to her to promote her own public relations image. All while still dodging open public town halls. There’s no public record of what those six individuals presented to her nor is there a record of her responses. Mission accomplished, right? If you really think I was too rough on “allies” you need to look through almost ten years of our archives (the column to the left).The post above was a gentle reminder. I would recommend that those with hurt fee-fees over this get a tougher hide. Quickly. They’re going to need it for at least the next four years.